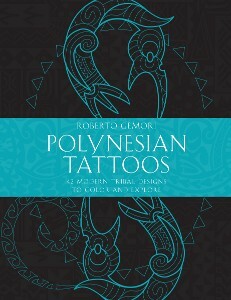 THE guide to understand and create meaningful Polynesian Tattoos. You loved the first? You&apos;ll adore the second. Polynesian tattooing is a form of art that goes beyond merely being aesthetically pleasant: Polynesian tattoos can tell stories, protect, inspire. This all happens through the choice of the elements composing a design, which are important not only on account of their look, but of their meaning as well. 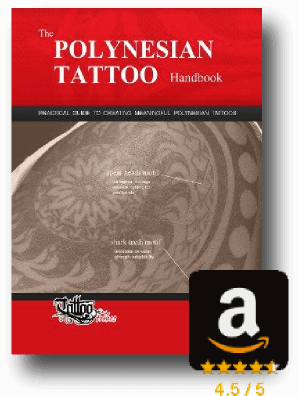 "The POLYNESIAN TATTOO Handbook" is comprised of two independent guides that teach the symbols, their meanings and how they can be chosen to create a personal design. Every passage is explained in a clear and straightforward way, making these books fit for both the tattoo artist and the novice. 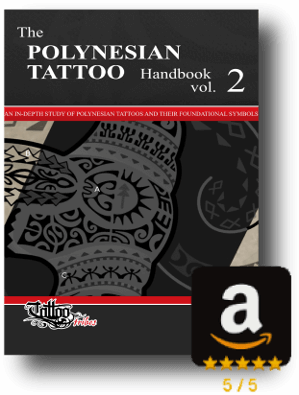 While we suggest Volume 1 as a comprehensive introduction to the world of Polynesian tattoos, Volume 2 is an unprecedented resource for those who wish to take one step further and delve deeper into the styles, elements, and meanings of this art. THE IDEA BEHIND THE BOOKS. What do we wish we knew when we started drawing Polynesian tattoos? Colour tabs on the side of the book make it easier to switch from chapter to chapter. Bolder meanings make it visually easier to spot them within the text of a page. Every chapter features a proverb or a way of saying from a Pacific culture. 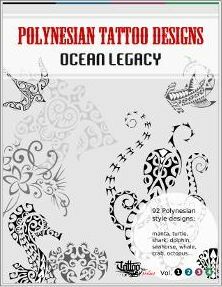 92 ocean-themed Polynesian-style tattoos, each with outline and a brief description of its meanings. 42 Modern Polynesian Designs to Color and Explore. The PDF English version comes now with the free EPUB:2 for the price of 1! Our Design Books also come in a bundle in PDF:you can get all 5 at the price of 3! 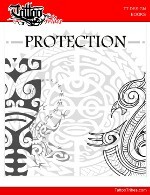 Download our FREE BONUS book with protection designs! Do you want to know when we have SPECIAL DEALS? Enter your email and we´ll keep you updated! * Price set in US dollars. To know the up to date cost in different currencies you can check this link.